As a result, small businesses are approaching employee health benefits a little differently. 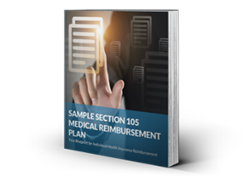 Instead of contributing to employer health insurance coverage, businesses are setting up Section 105 Medical Reimbursement Plans to reimburse employees for individual health insurance coverage. Zane Benefits was founded in 2006 with a mission to consumerize employee benefits for small business. We have a vision for the world where employee benefits are actually employee benefits rather than employer benefits. "Consumerize" is the word we use to describe that vision. When small businesses offer Zane Benefits instead of traditional benefits, they save time and money by empowering employees with tax-free dollars. Using our online software platform (PeopleKeep®), small businesses help employees purchase their own benefits with real dollar contributions.